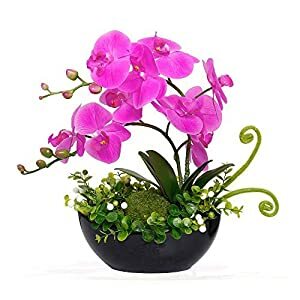 Specification: Real touch flowers,ceramics flower pots,looks quite natural. 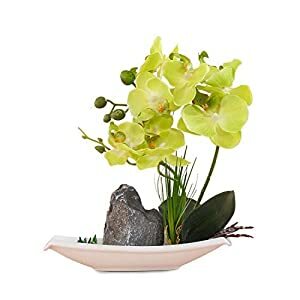 Size: 14.4″ height,the stems of Phalaenopsis flowers can be bent to the appropriate radian. 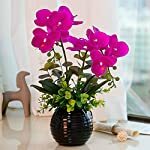 Use: PU real touch orchid flowers decor for home,living room, bedroom,dining room,kitchen,hotel, office, wedding, party, bar, Dressing table,etc. 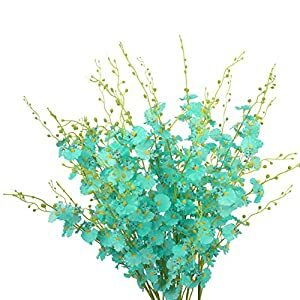 1.Decor for home,front room, bedroom,dining room,kitchen,hotel, place of job, wedding, birthday party, bar, dressing table,washroom,and so forth. 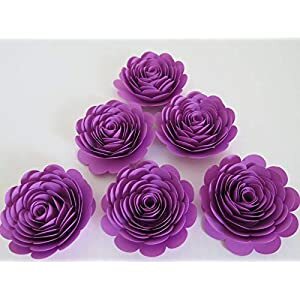 2.Easiest gift in your family members on Birthday Christmas valentine’s day Thanksgiving Mother’s Day Father’s Day. 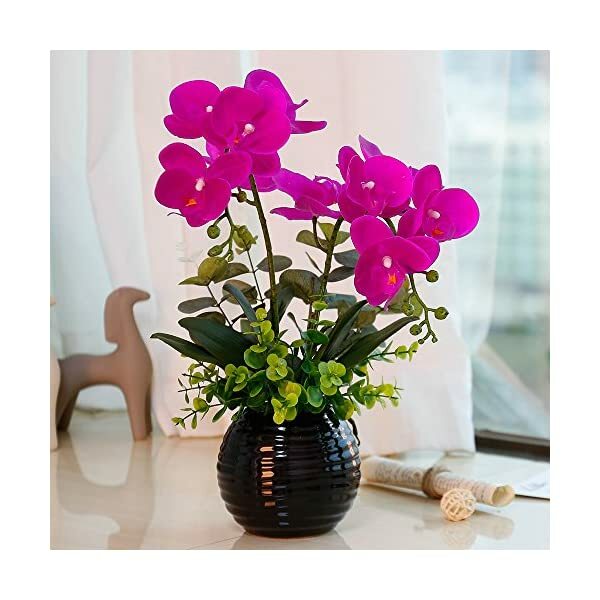 3.PU orchid flowers can make your own home place of job, room more beautiful.provide you with happiness,love. 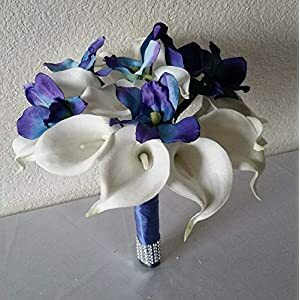 1.Please do not put artificial flowers expose under the sun for a very long time. 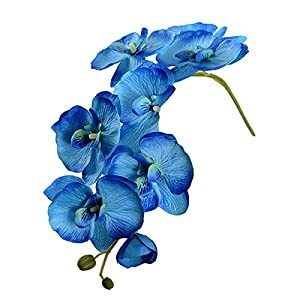 2.Please do not very long time keeping the bogus flowers within the water, especially hot water. 3.please make a choice the right kind variation in line with the photo shows. 4.please fix it back by bending the stem,if stem is also bended throughout transit. 5.Please note same commodity might looks color different by different screen. 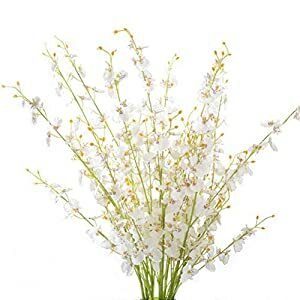 6.Guarantee: We give you the one hundred% outstanding satisfactory customer service. 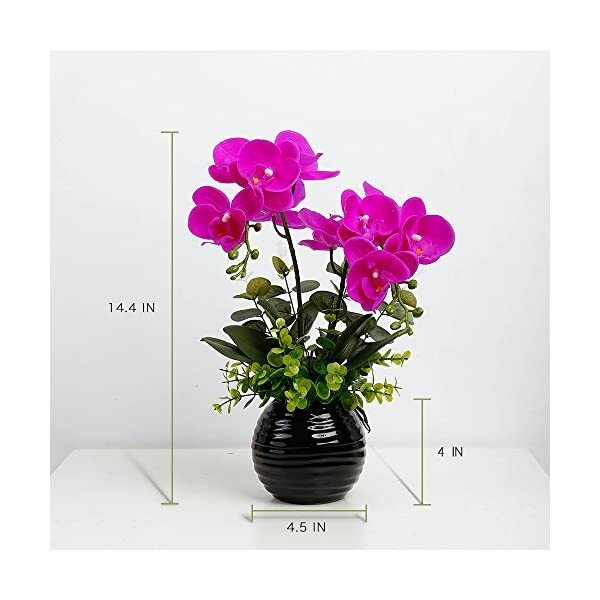 Specification: Real touch flowers,ceramics flower pots,looks relatively natural. 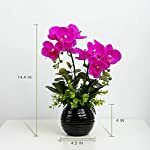 SIZE: 14.4″ height,the stems of Phalaenopsis flowers may also be bent to the precise radian. 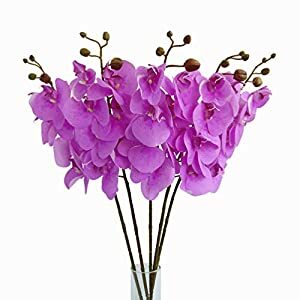 Use: PU real touch orchid flowers decor for home,front room, bedroom,dining room,kitchen,hotel, place of job, wedding, birthday party, bar, Dressing table,and so forth. 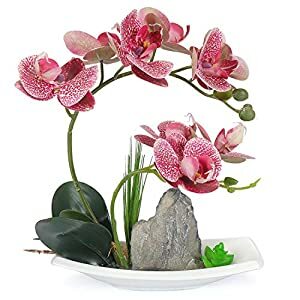 Environment: Artificial Phalaenopsis is harmless, crease resistant, water-proof, insect prevention, simple to wash and no maintenance or watering needed, with flower pot. 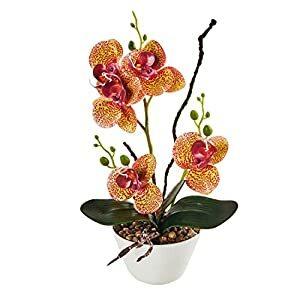 Flower language: the phalaenopsis means love,healthy,happiness.